Happy summer solstice! It’s my favorite season, and not just because of the warm weather. I love the sense of adventure around every corner, and the space it seems to grant us to explore ourselves further. To celebrate, I did a mini tarot reading for each element, and also assigned you a summer mantra—something to help you sail through the next few months. Note: For optimal results, read for both your sun sign and rising sign! Your mantra: Life is always getting better. On the surface, your card looks like a gloomy one, for sure. There’s no doubt that you’ve been going through a hard time, and may feel betrayed or attacked. Maybe a change has occurred that you have been in denial about. But really this card can be a blessing in disguise. The Ten of Swords asks you to give up your tendencies to be a victim, and take control of your life again! It also asks you to examine the circumstances of your life and learn the lessons. And finally, it reminds you that things can only get better from here. Keep looking to the future, and stay positive! Your mantra: I am thankful for my blessings. 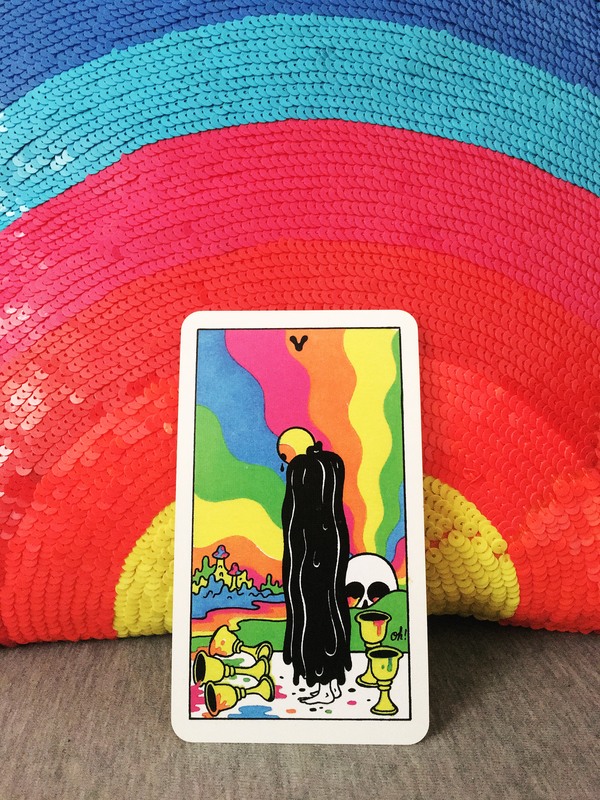 The Five of Cups desperately wants you to look on the bright side! Maybe you’ve been working hard at something, and you haven’t seen the results you were hoping for. The Five of Cups can indicate disappointment and regret, even loss. 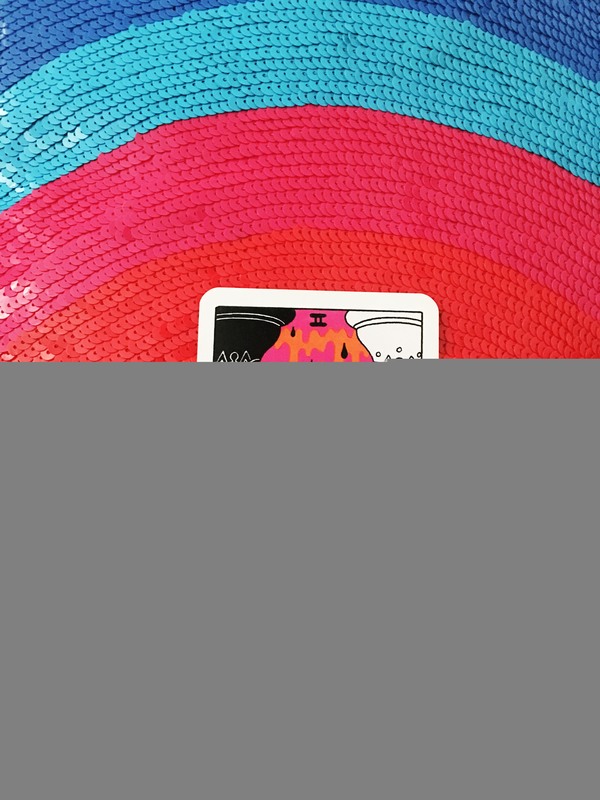 But look at the card: Even though three of the cups have been turned over, there are still two cups standing, and they’re overflowing! You have so many good things in your life that you’re ignoring. This card implores you to be grateful for what you have. Don’t get hung up on your failures. If you focus on lack and scarcity, that’s exactly what you’ll attract. Make gratitude a daily practice, ASAP! Your mantra: I celebrate all my successes. This delicious card is about remembering to celebrate every step of the journey. You’ve been working hard, and you feel confident that the final steps of your project will be easily completed, if you just keep at it. But don’t forget to enjoy all the little achievements on the way to your big goal! You have permission to bust out the champagne and treat yourself for a job well done. Don’t be afraid to be proud of all your hard work, and make merry—preferably with a group of badass girlfriends! Your mantra: I trust my intuition. Sometimes this card comes up when you’re trying to control things rather than going with the flow. That having been said, The High Priestess is a beautiful card for creative types. It encourages you to tap into your intuition and listen to the messages it’s trying to give you: They will help you to sow the seeds of something magnificent. 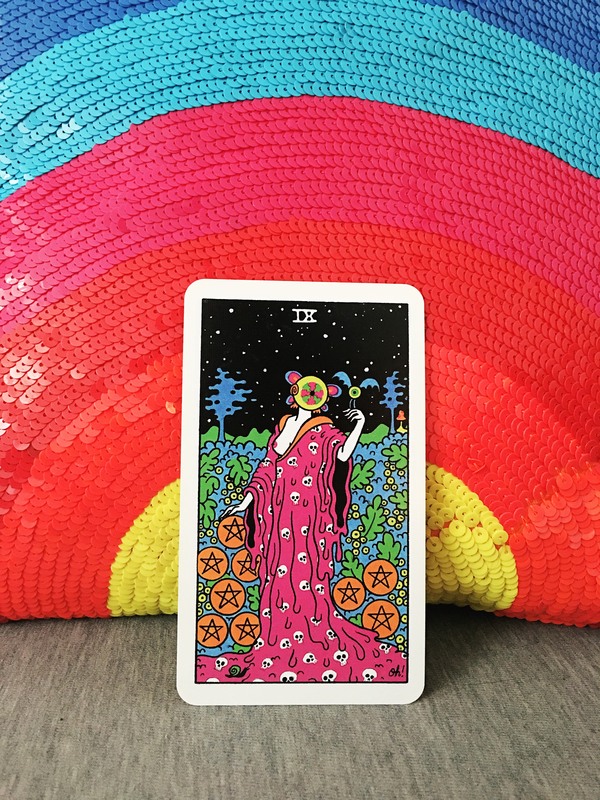 This card also tells you to tap into your feminine side, to slow down, to pay attention to your dreams, and to devote yourself to a regular meditation practice! Tarot cards and feature photo by Oliver Hilbert. Are you ready to go deeper into the magic of Tarot?